It’s almost that time of year again – Book week! And with this comes the inevitable question of the book week costume. Often it ends up being left to the last minute with mum doing all the hard work. So we’ve put together a fun book week costume that the kids can help with. 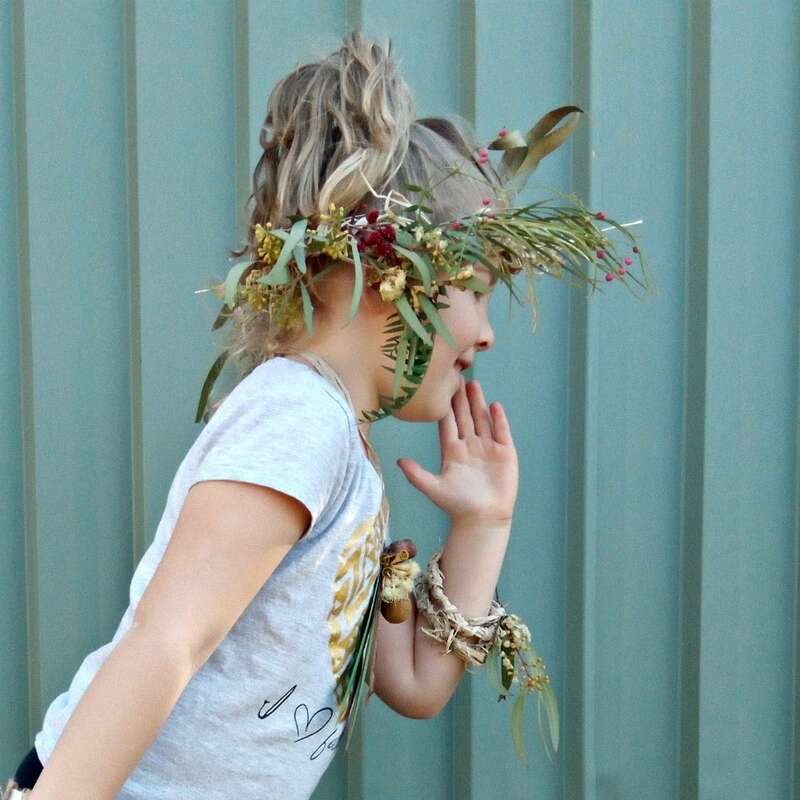 I had a six year old and a nine year old pretty much make their own Bush Fairy Costumes that they absolutely love. They can’t wait to wear them for Book Week at school. I cut a piece of elastic to loosely fit around the fairy waist with an extra 2cm so there’s enough space to glue together later. 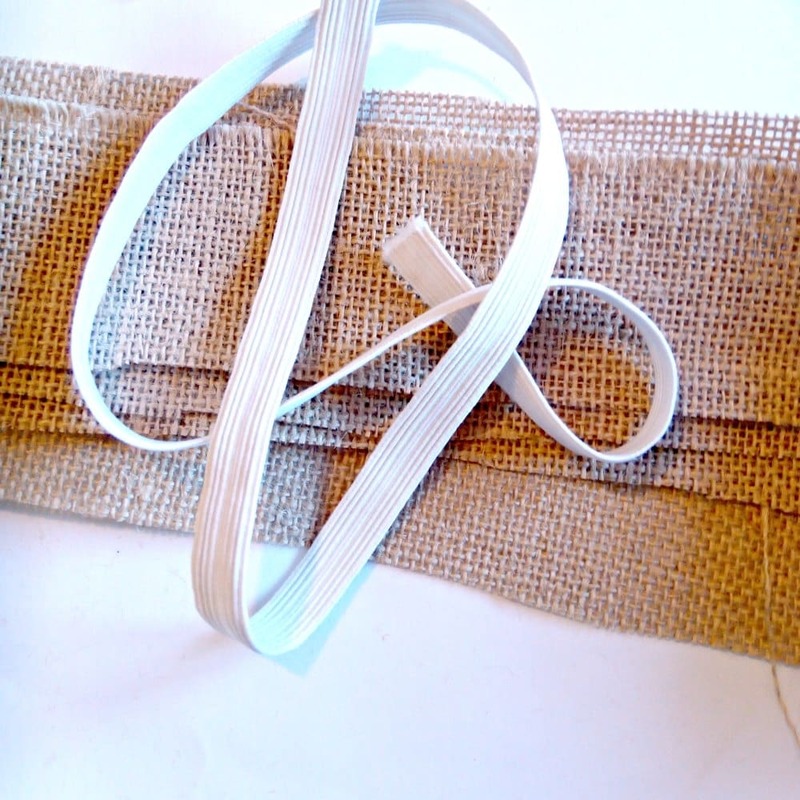 Next I cut lengths of hessian fabric into strips doubled in length to what they wanted so i could just fold it over the waist elastic to glue on. 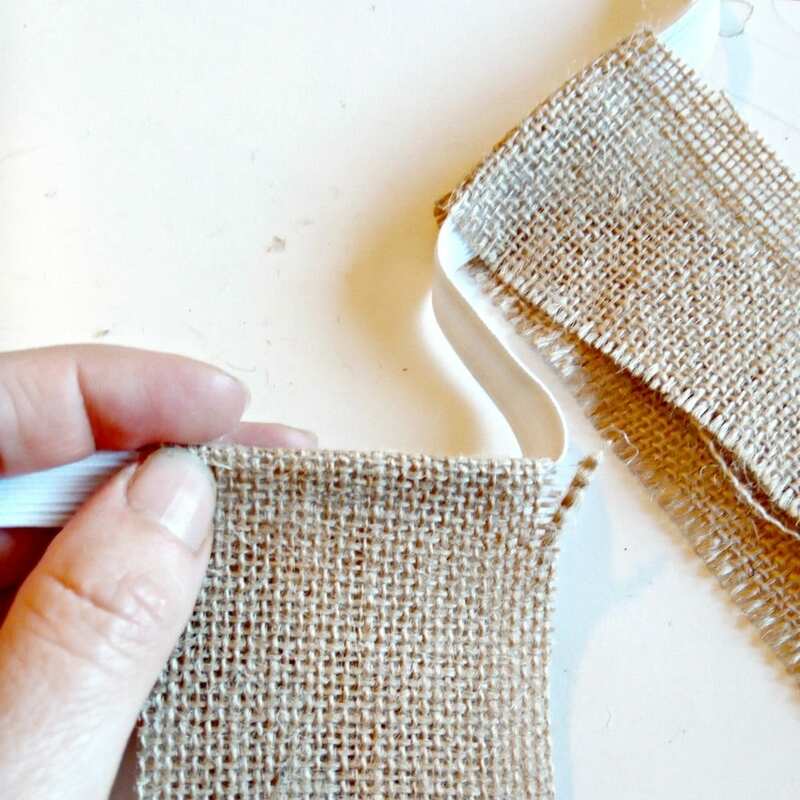 Then I glued on all the strips of hessian along the elastic whilst the fairies went through their collections and made things to glue on to their skirts. The Bush fairies then glued on all their treasures. We used the hot glue gun which made it very quick and easy but it can be dangerous so make sure everyone is supervised. 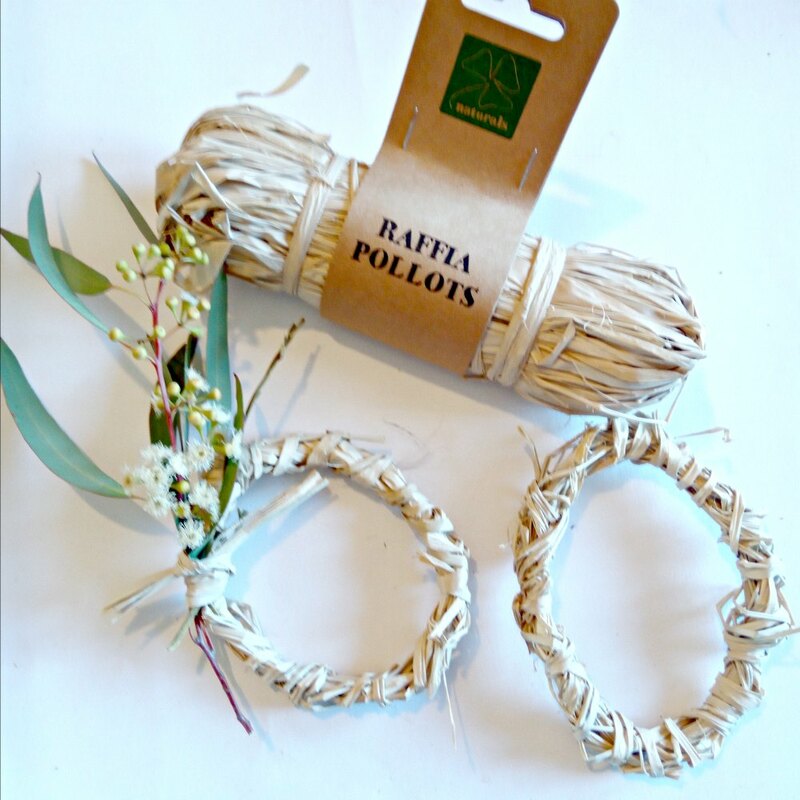 Raffia was great for making our Bush Fairies accessories. 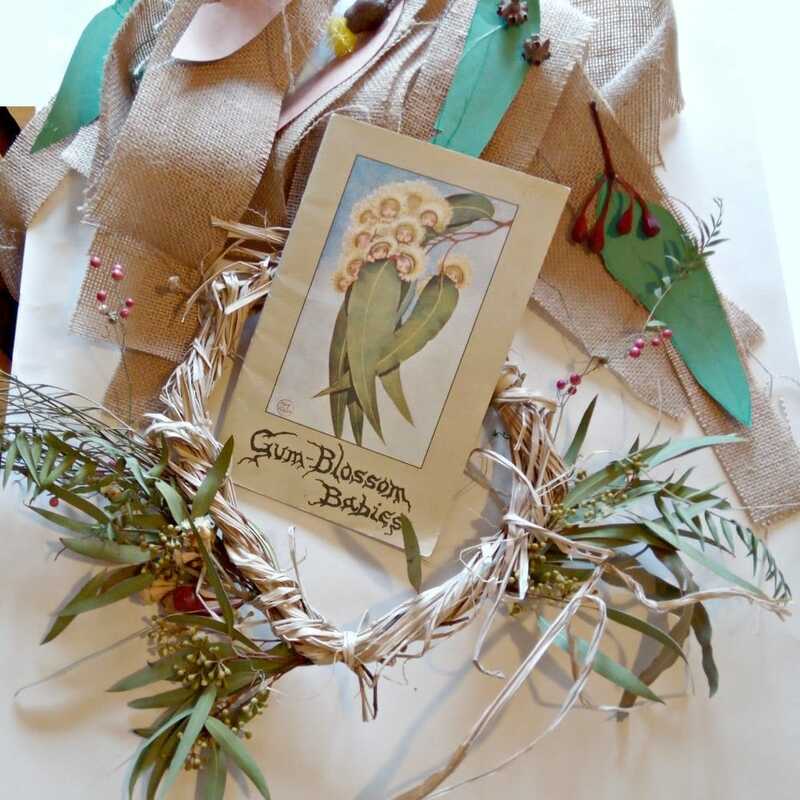 To make the Headpiece I twisted and tied Raffia in a circle shape so it would fit on Bush Fairy head. Then i did the same but on a much smaller scale for bracelets. 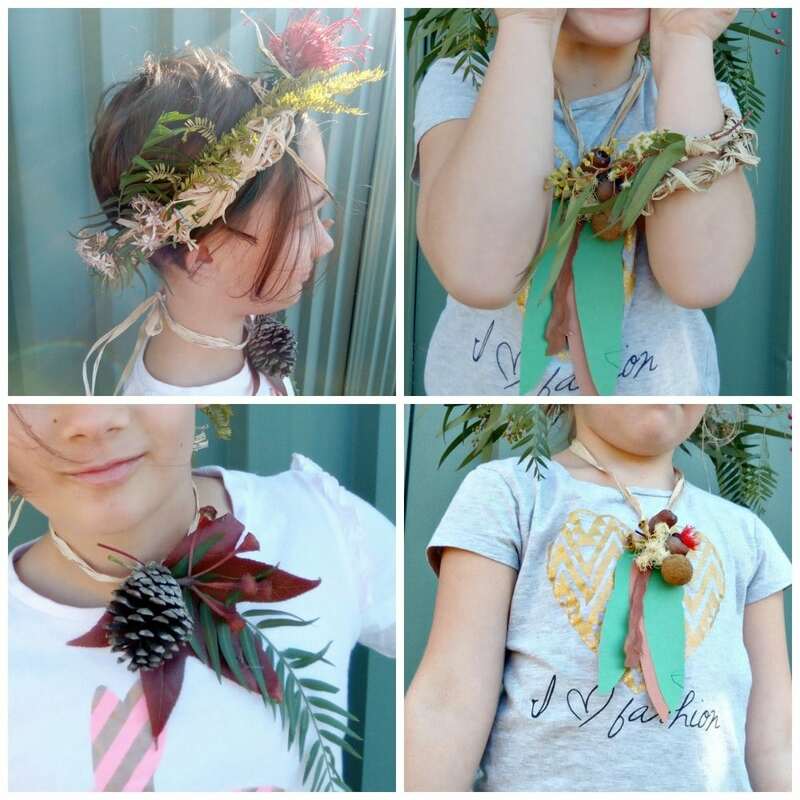 To decorate the headpieces we glued in things from the garden, gumnuts, flowers and leaves. To decorate the bracelets we just added a little bush foliage. To make the necklaces the Bush fairies made a bush inspired pendant and we hot glued it together. Then we glued it to a long length of raffia so it can be tied on and taken off easily. This Book Week Costume did take an hour or two but was really great for them to make their own and they are so proud. 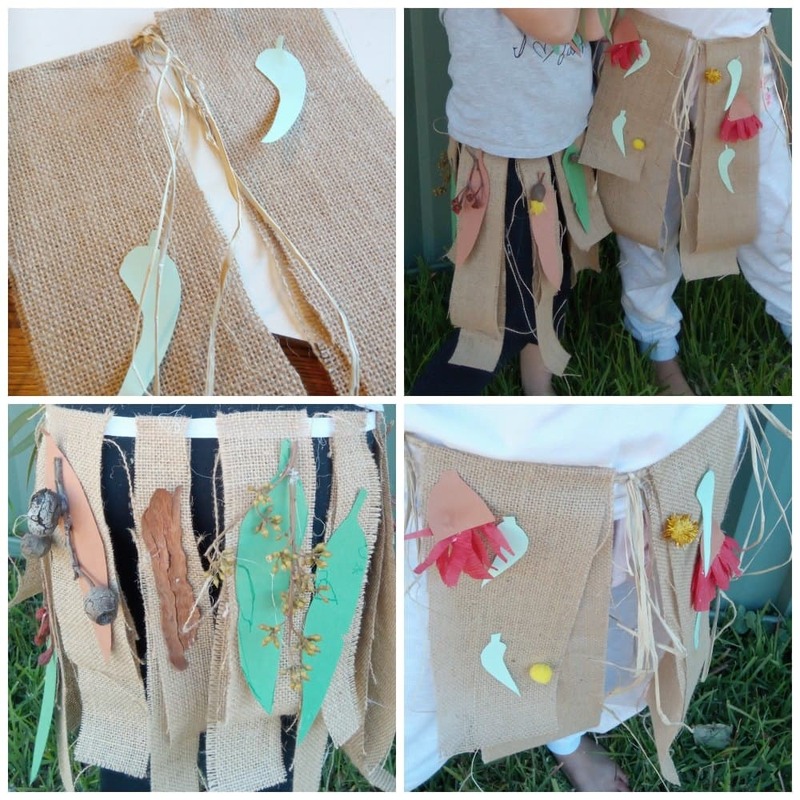 They loved making them and can’t wait to be Bush Babies with their May Gibbs Books at school for Book Week. This is a contribution from Crafty Bel! 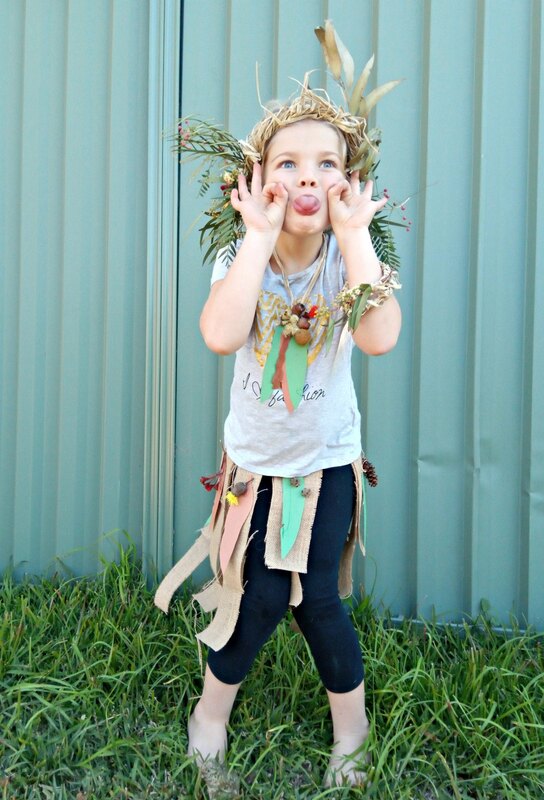 Crafty Bel is here to help stimulate little imaginations and spark a creative flame in little people. Inspired by May Gibbs’ own passion for creative writing and art, Bel helps educators and mums to embrace nature inspired creativity. « May Gibbs Collectibles: Australia’s Largest Collection Of Gumnut Babies?